It was meant to be the end of the story, not a fresh stimulus for argument. The shroud is one of the holy relics of the Catholic Church, and is believed by many of the devout to be the burial wrapping of Christ. It is a piece of antique linen measuring 4.4m by 1.1m, and bears the faint brownish imprint, in a kind of photographic negative, of a life-size, naked, bearded man with apparent wounds to his hands and feet. No one knows how the image was made, although the general view is that the coloration comes from some sort of chemical transformation of the surface fibres of the linen. On this subject it is only fair to lay your cards on the table at the outset (some efforts to defend the traditional interpretation betray an underlying religious agenda). 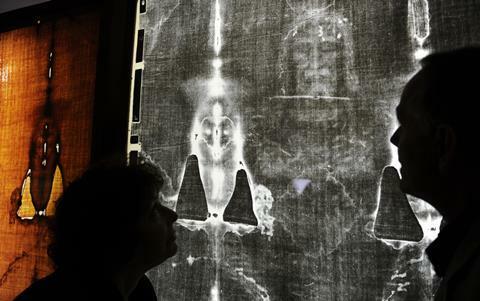 I have never seen persuasive evidence that the shroud comes from the time of Christ, and certainly don’t think it is a supernatural phenomenon. But that’s not to deny what a remarkable and perplexing item it is. If, as some claim, it is a medieval forgery – one of the many faux relics supplying a lucrative market that brought donations to a church in those days – it’s still a profound puzzle. That puzzle persists largely because there has been so little archaeological research on the shroud. Kept in the cathedral complex in Turin, it is in the charge of the Vatican, which now cautiously refrains from pronouncing on its authenticity but calls it only an object of veneration. And the papal authorities have been unwilling to release samples for scientific study. That was the big deal about the 1989 paper, which analysed small samples taken from one region on the edge of the cloth. The fibres were radiocarbon-dated in three separate laboratories in Oxford, Zurich and Arizona and the paper concluded that, with 95% confidence, the age of the material was medieval: between 1260 and 1390. The first historical record of the shroud appears too in the fourteenth century. Those who favour this contention will surely draw support from a new study5 that re-examines the radiocarbon data. The raw data used for the 1989 paper were stored at the British Museum in London, but have been made available to independent researcher Tristan Casabianca and his coworkers through a Freedom of Information request. The researchers have studied the statistics and say that they don’t validate the 95% confidence level claimed in the original paper – the full results from the three labs contain ‘serious incongruities’. So where does this leave us? One thing is sure: the conclusions of many papers could probably be challenged if subject to this level of close scrutiny. That, in the light of concerns about the ‘reproducibility crisis’ (the difficulty of replicating a large number of published claims), is no surprise – but it’s troubling nonetheless. Nothing published so far on the shroud, including this paper, offers compelling reason to think that the 1989 study was substantially wrong – but apparently it was not definitive either. But what about the shroud? The answer seems obvious: it’s high time for a fresh round of studies using state-of-the-art techniques. Given the secrecy and reticence that has generally surrounded scientific investigation of this object, it’s no surprise that rumours abound of how the findings have been untrustworthy. Can’t we put those rumours to rest, one way or another? Of course, the papal guardians are bound to be reluctant to cut off more pieces for destructive tests – but the scientific, historical and theological interest surely justify that small sacrifice. Besides, quite aside from dating, it would be good to know more about the chemistry of the image to try to figure out how it was made. As it stands, reticence looks more like fear of what further studies might reveal. Despite clinging to the notion that ‘prayer makes miracles’, Pope Francis has shown signs of wanting to engage with and attune to modern science. Why not start here?